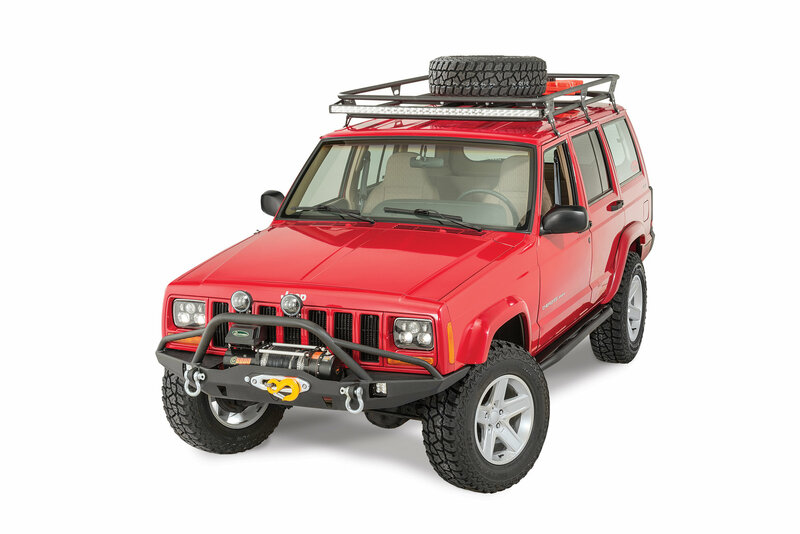 Cherokee owners can always use a bit more extra storage. JCROffroad offers the perfect solution! Choose the base rack for a simple clean overhead solution. The 2 piece design bolts together rack is constructed of 1.25 x .120 wall tubing and attaches to the factory rain gutters with the sturdy 6 piece clamp kit. Rack measures 70 long by 48.5 wide. 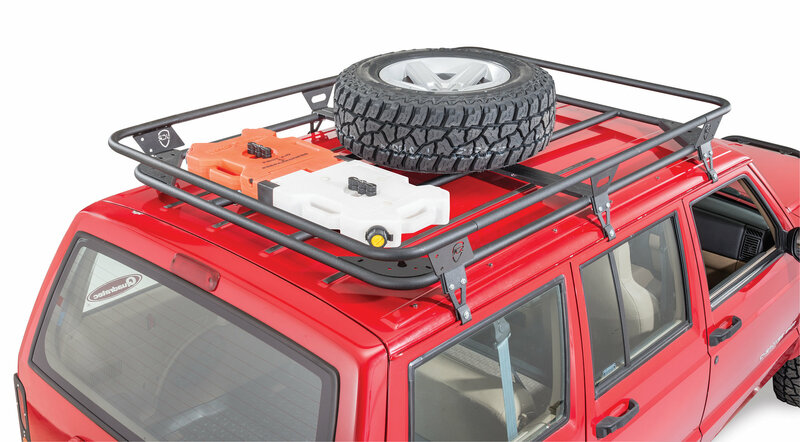 If youre looking for a basket look, then the Adventure Rack is your solution. The bolt together design attaches with 6 piece clamp kit. 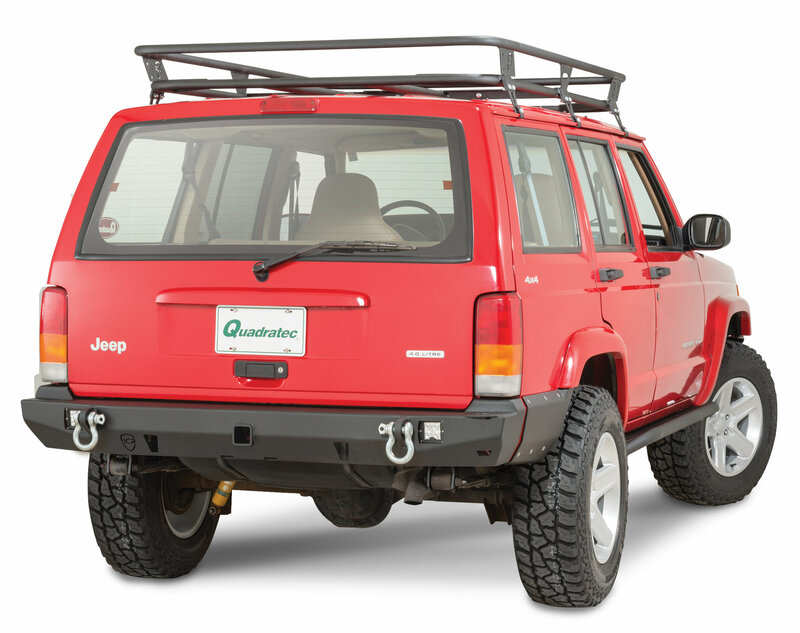 Optional Tire Mount and RotoPax Mounts mount to both Base and Adventure Racks. 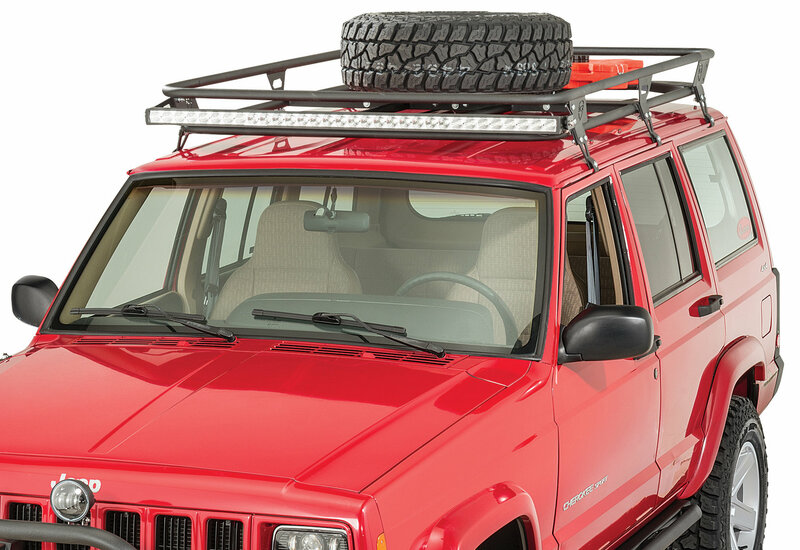 Front LED Light Bar Mount is available for Adventure Rack only and holds 50 LED light bar.